We are very fortunate here at Framing Guru to have state of the art framing equipment. This mount cutter stands proudly on show in our premises, and makes the design and creation of complex framing projects a pleasure to work with. 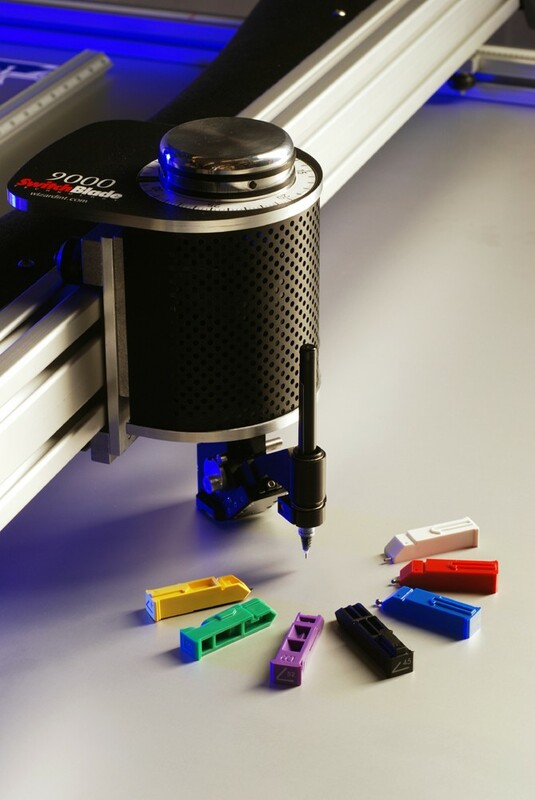 Offering mounts from the simplest design to multiple openings in many shapes with speed and accuracy. We can also add text to mounts using this machine adding title to Photographs and Prints. In this section we will showcase what this machine can offer from then simplest photo frame to elaborate designs with multiple openings and added text. We have a range of items in our eBay store, from pre-cut packs of mounts, photo frames, craft box frames and mirrors. To view the range click on the eBay logo.